Gurmeet Kanwal has it that the Cold Start doctrine is a ‘good’ doctrine for India since ‘it is perceived to be destabilising by Pakistanis.’1 As a strategy for a proactive offensive, it evidently has merits that have been registered by Pakistan. Consequently, Pakistan has taken preparatory steps to counter the strategy and practiced them in its recent Exercise Azm-e-Nau. That it commands a constituency in India is also evident from India’s acquisition plans and impetus to jointness, with the release this summer of a land-air joint doctrine. The political head would have two options, the third of ‘large scale operations’ having been ruled out. The two options are of restricting the offensive to the division sized Integrated Battle Groups; and, second, to follow this up with those of ‘one or two strike corps’, albeit up to limited depth. The first option can be termed, ‘Cold Start and Stop’, and the second, ‘Cold Start and Continue’. Reflecting on the pros and cons of these is therefore warranted. The Cold Start and Stop idea is for the offensives to be restricted to those of Integrated Battle Groups (IBGs). This has the clear merit of being well below possible nuclear redlines. It serves the purpose of demonstrating resolve to Pakistan. The headway made by the IBGs along a wide front would enable threatening the launch of strike corps, by then having formed up in the wake. This way military pressure – with strike corps actually poised for launch - can be orchestrated along with other instruments of national power on the Pakistani decision makers. The conflict would be cheaper, of shorter duration and easier to terminate. The area of operations being shallow would not involve a robust asymmetric counter by Pakistan. The underside of the idea is that the Pakistanis would be able to face off with the IBGs using only their defensive forces. Their strategic reserves would not require to be committed. This way they would be able to preserve the strategic reserves from attrition by land based firepower and air action. Thus, with its ‘centre of gravity’ in the form of the strategic reserves intact, Pakistan would not require to concede anything, making war termination at this stage difficult. This may then entail launch of strike corps, morphing the option from ‘Cold Start and Stop’ to the next higher one of ‘Cold Start and Continue’. The second option has the advantage of prising out the strategic reserves by ensuring their reaction to the threat posed by the strike corps. The movement would expose them to attrition by the Air Force in particular enabling their degradation in the time available. The political dividend of such punishment is in the resulting loss of prestige for the Pakistan Army. This is expected to displace them from the centre stage of the Pakistani system, enabling a change of strategic posture in Pakistan. The flip side is, however, that it would involve launch of strike corps, even if to a limited depth. This takes the conflict deeper into the nuclear shadow. It would also face a firmer asymmetric counter. The political decision maker would require convincing on the merits of the second option in face of escalatory possibilities on both the subconventional and nuclear levels. The first option also has limitations in the form of not delivering a suitably chastened Pakistan to the negotiation table and the possibility, as seen, of it expanding into the second option. There is therefore a need to tweak the ‘Cold Start and Stop’ strategy for greater acceptability. The end game of the Cold Start and Stop strategy can be visualised along two directions. The first is to stay on till a negotiated end is reached, using the captured territory as a bargaining chip. This may not be possible since captured territory does not make sense in today’s world order. Pakistan may simply ‘wait out’ India. The second is to inflict the punishment possible in the short time and de-escalate with a unilateral ceasefire and early de-induction. This suggests itself as viable in light of the precedence in the Israeli withdrawal after its two recent operations. The difference with the Israeli model is that expectations of a greater political dividend from the higher order resort to force would need to be met. The questions are: What political objective would be achieved? How? Answering these is necessary to making Cold Start strategy saleable. The strategy helps sensitise Pakistan to India’s tolerance threshold and reinforces deterrence by bringing home unambiguously to Pakistan that things could get out of hand. This would bring about self-restraint in Pakistan’s employment of proxy war. 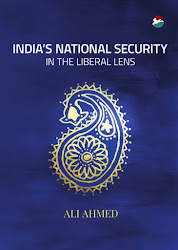 However, reinforcing deterrence is also possible to undertake by lower order resort to military force without the risks, such as surgical strikes and, at the next level, border skirmishes and activation of LoC etc. Therefore, a wider purpose needs to be served by going to war in this manner, even if it is in the most limited manner of Limited War. India would be justified in looking beyond war termination to the ensuing peace deal, making for a better peace. Punishing Pakistan only helps end its impunity. In case a long term aim of getting it to change its strategic posture remains unmet, then repetition may have to be done periodically. This has been starkly put as ‘mowing the lawn’. This means continuing ‘ugly instability’, beyond the current ‘ugly stability’. Militarily all that can be done is to bring Pakistan to the table. India requires clinching the effort made diplomatically through a ‘carrot’ to supplement the military ‘stick’. Getting Pakistan to end proxy war counter intuitively requires ‘sweetening’ of the punishment. 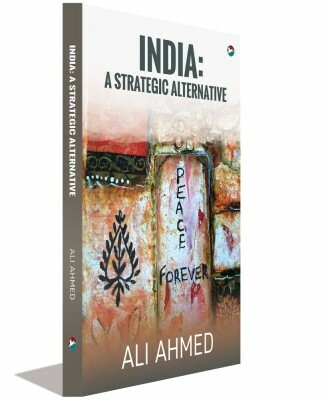 A consensus on the exit policy needs arriving at: on how far India can go and what Pakistan might find acceptable. 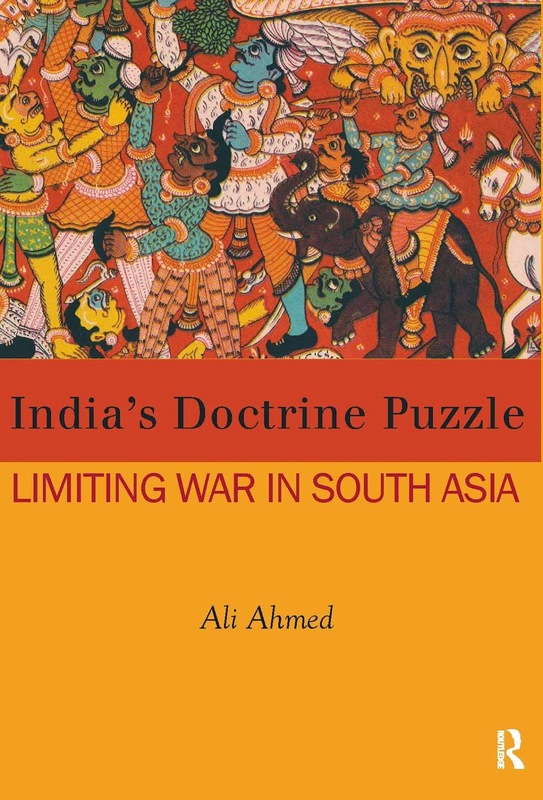 This recommendation is in keeping with an insight of the late General Sundarji, that war between nuclear powers requires having an exit policy permissive of a ‘face saving’ exit for the other side and an ‘honourable’ end to the war.2 A Cold Start and Stop strategy, informed by politico-diplomatic exit policy, may prove a saleable option. 1.Gurmeet Kanwal, ‘India’s Cold Start Doctrine and Strategic Stability,’ IDSA Strategic Comments, 1 June 2010. 2.K Sundarji, ‘Nuclear Deterrence: Doctrine for India – Part 2,’ Trishul, VI (1), 1992, p. 77.